This is the story of the luckiest vines in the world. 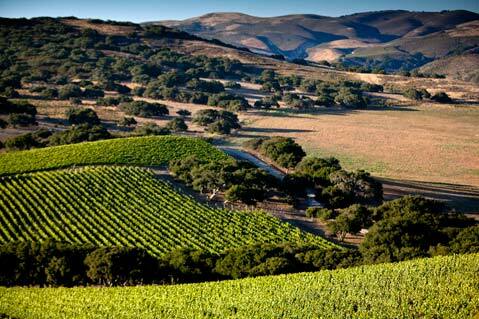 “Viticulturally blessed” is really the most accurate way to describe the manicured rows of Hilliard Bruce Vineyards. With its expansive verdant vistas punctuated by native oak trees, the place is positively utopian. Owners John Hilliard and Christine Bruce, both certified master gardeners (his certificate is from University of Arizona and hers from Texas A & M), planted the vineyards in 2004. The couple’s horticultural passion, paired with abundant financial resources, translate into an idyllic oasis on their 101-acre estate, just east of Lompoc. If you’re a pinot noir or chardonnay vine, it really doesn’t get much better than the Sta. Rita Hills. And these vines are fortunate enough to enjoy some of the most sought after vineyard real estate in Santa Barbara County — complete with ocean views. They’re planted on the AVA’s western border where cool breezes and coastal temperatures provide an ideal growing environment. Irrigation water comes from an on-site reservoir, power from 35 kilowatt solar panels, and compost from a specially designed static aeration building. Really, these vines have it all. That includes a top-of-the-line staff of farming consultants and specialists. “This vineyard gets an incredible amount of attention by the best, highest-trained viticultural team that I know of,” says Ben Merz of Coastal Vineyard Care and Associates. 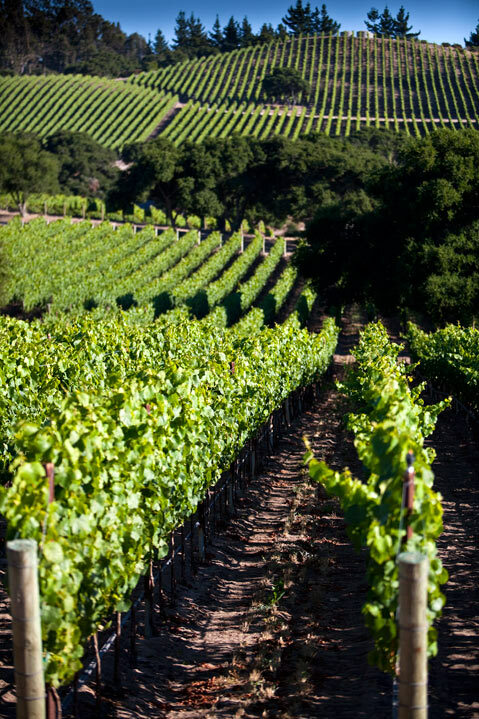 And according to several sources, the vineyard benefits from more canopy management passes and expert visits than any other in Santa Barbara County. Merz explains that each vine is meticulously pruned by hand — not once like most vineyards, but twice a year to ensure uniformity. And in springtime, each emergent shoot is carefully parallel positioned and individually tied so that none cross one another. Even the number of leaves on each shoot is carefully attended to in an effort to offer ideal sun exposure. What does all of this viticultural mollycoddling amount to? Wines crafted by ultra-talented consulting winemaker Paul Lato that reflect the essence of the Sta. Rita Hills in their delicious layers. Guess that makes us the lucky ones. 2008 Hilliard Bruce Moon Pinot Noir: Ruby color. Aromas of lush red berries, clove, and cedar lead, followed by gracefully integrated layers of crushed raspberry, cherry cola, and subtle minerality. Star anise and a dash of white pepper offer intriguing spice. Walnuts and wisps of pipe smoke contribute to the wine’s long finish. Pair this sensuous wine with seared scallops drizzled with truffle oil. The 2009 Hilliard Bruce Chardonnay and Pinot Noirs will be released in February 2011. Visit hilliardbruce.com.